Don't miss the return season of the underground hit that won Best Comedy Award last year. "Fantastically joyful feminist comedy" Squirrel Comedy, 2017. "Delightful, shocking and deeply reflective on an issue that affects everyone" Theatrepeople, 2017. 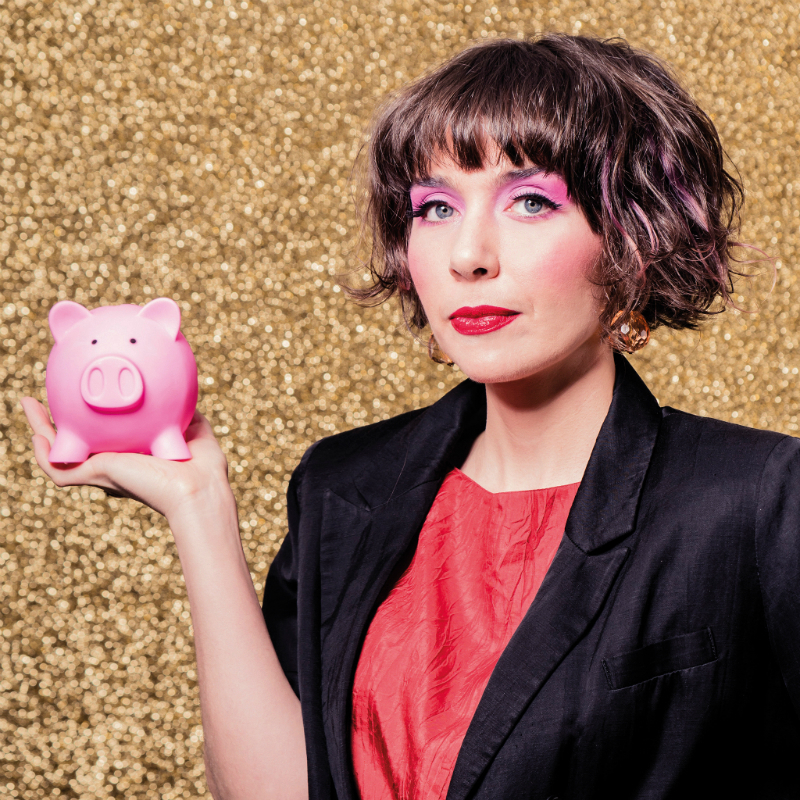 Elizabeth Davie is an award winning comedian, performer and writer from Melbourne. She has created sell out comedy shows for festivals around Australia and written and performed in Channel 31 TV shows. 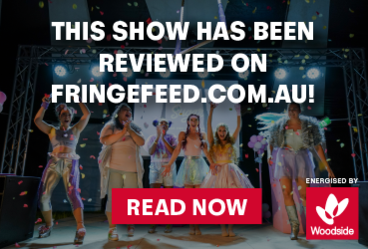 Her solo show Super Woman Money Program sold out at Melbourne Fringe, Melbourne International Comedy Festival and FRINGE WORLD and won the 2018 FRINGE WORLD Best Comedy Award. Elizabeth has studied clowning and performance with Philippe Gaulier, Giovanni Fusetti, Philip Burgers and Deanna Fleysher.